Users of BBC iPlayer will require a login from 2017 | What Hi-Fi? From next month anyone who wants to use BBC iPlayer will be required to register using a BBC online account, including their postcode information. The BBC has confirmed that iPlayer viewers will need to log in and enter a password to use the catch-up service within "the next few weeks". In preparation for the move, which was first announced last year (see story below), users accessing iPlayer from this week onwards will see a message saying they will "soon need to sign in to watch". Sign-in will enable the BBC to tailor the iPlayer experience based on users' previous viewing habits, and will allow you to start watching a programme on one device - say a smartphone or tablet - and then continue watching on TV if you want. Although the BBC says it is not using registration to crack down on those using iPlayer without a TV licence, it has confirmed that email addresses used to register an account may be used to see if someone who has registered has paid the licence fee. A BBC ID account will be used to "personalise and localise" its services for those who register, the Corporation says. Since the start of September anyone watching BBC programmes on iPlayer has had to have a valid TV licence. Although the Beeb says the information gathered through a BBC ID account won't be used to enforce the closure of the so-called iPlayer loophole, the inclusion of people's postcodes makes it a distinct possibility in the future. Before this month's rule change, a TV licence was only needed for watching live TV. If you only watched programmes on iPlayer after they had been broadcast, you could avoid paying the £145.50 annual licence fee. 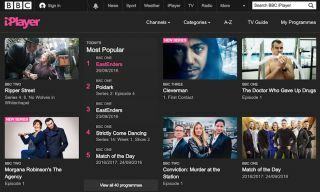 The BBC says around seven million people in the UK currently have a BBC ID account. BBC director general Tony Hall says: "By learning about what you want and like we can take you to more of the great programmes you love, stories you might be interested in and content you might otherwise never have discovered."